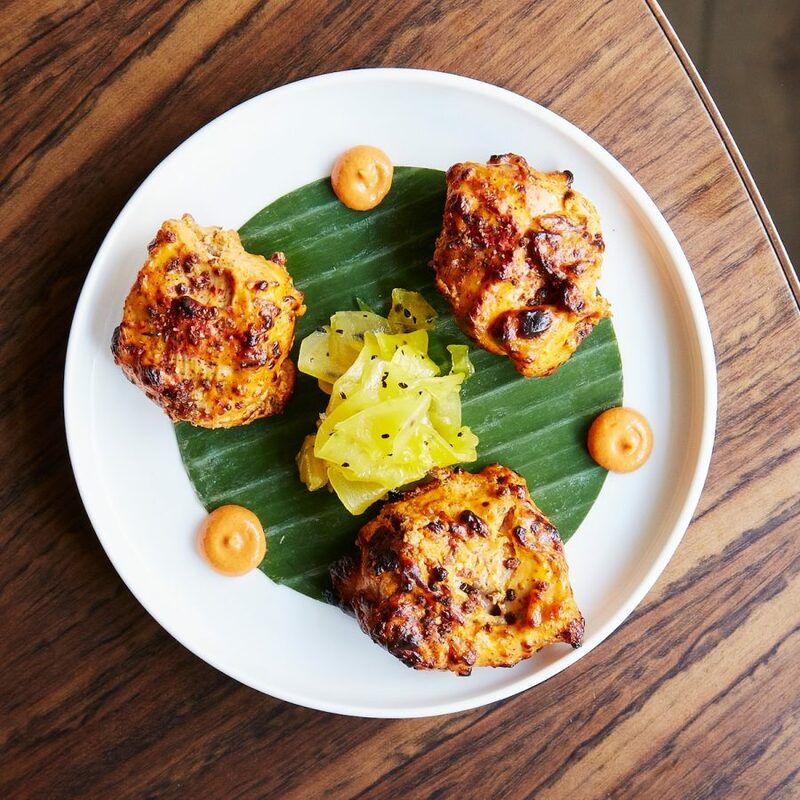 High-end Indian restaurants are a particular specialty of London’s electrifying restaurant scene, with so many noteworthy venues and chefs showcasing their own interpretation of Indian fine dining. When badgered for recommendations on the subject I’m constantly spoiled for choice, with such an extensive list of must-visits: Benares, Gymkhana, Kutir, Indian Accent, Jamavar, and most recently – Tamarind of Mayfair. 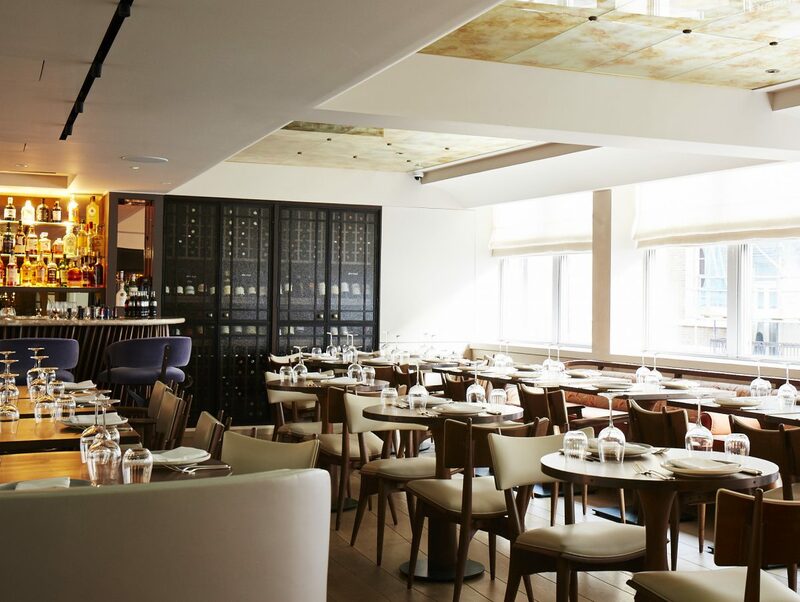 First opened in 1995, Tamarind was the joint-first Indian restaurant in the UK to gain a Michelin star back in 2001, when chef Atul Kochhar was heading up the kitchen. The restaurant retained its star until last year – most recently under chef Peter Joseph’s guidance – when Tamarind closed for eight months in order to undergo a much needed refurbishment. Closed at the time of last year’s star announcement (thus unable to be inspected in time), the restaurant hopes to, once again, receive the accolade with the publication of this year’s guide. Now almost twice its original size, with space for 180 covers, Tamarind’s refurbishment has seen a complete interior overhaul, with the space having been dragged kicking and screaming into the 21st Century. A new upstairs dining room has also opened for the first time, with natural light flooding the space during the day. Downstairs, in the original basement dining room, the atmosphere is somewhat more sedate. With an open kitchen, showcasing various stations, the space is festooned with bare tables, long sofas and a fresh colour scheme of pastel and neutral shades. While service is expectedly slick, the space is refreshing (an improvement, for sure) yet still somewhat stuffy, which doesn’t necessarily complement the sometimes modern, often joyous cooking from the new menu devised by executive group head chef Karunesh Khanna and Tamarind of Mayfair head chef Manav Tuli. A recent dinner began with an expertly balanced churi chaat (£10), with a crispy poppadum base complimented by peanut, chilli, pomegranate seeds, puffed rice and a zing of mint in harmony with the yoghurt and never overpowering chutney of rich tamarind. Grilled scallops (£18), on the other hand, showcased elegant cooking with each mollusc perfectly cooked – golden on the surface, still springy in the centre – served on the shell and lashed with a subtle sauce harbouring notes of turmeric, capped with finely chopped fennel. From the new tandoor station, dishes are available in two portion sizes. Lamb chops (£20/£29, respectively) were spiced perhaps a little too delicately and fractionally overcooked, crumbed with vibrant pistachio with textural depth to compensate for the un-rendered lamb fat. Far better, however, was the ginger chicken tikka (£9/£14) – a well-executed example of a classic – or tranches of sea bass, deftly cooked and cloaked with a glaze boasting a hum of red chilli and soothing coconut (£13/£19). Rabbit seekh kebab (£11/£16), however, was arguably the best dish eaten. Tunnels of fine rabbit mince were piped with a paste of dried tomato and raisins, bringing a whisper of sweetness to contrast the heavy char. Tamarind’s Chettinad chicken biryani (£24) was another highlight, served at the table with a pastry seal, acting as a blanket from under which an encapsulating aroma explodes when removed. Cooking the biryani with the seal also allowed the chicken to remain succulent alongside the rice rampant with curry leaves. Elsewhere Kathiyawadi “lamb osso bucco” curry (£25) favoured lamb shank, slow-cooked until the intramuscular fat bled into the thick, balanced sauce demanding to be mopped up with strips of pillowy naan bread. Moreover, Tamarind also delivers with dessert. The kitchen’s take on traditional gulab jamun (£10) featured the welcome accompaniment of fresh orange segments, orange puree and a mandarin granita to balance the overall sweetness and, ultimately, cleanse the palate. A gajar halwa soufflé (£12), on the other hand, wouldn’t seem out of place in the local French fine dining institutions. Perfectly risen, the soufflé harboured a whack of sweet carrot flavour, bolstered by some cardamom and guava sorbet, also intended to bring balance. Following the extensive refurbishment, Tamarind has returned to brilliance with its accomplished new menu. Long live this Indian fine dining institution and may it retrieve its coveted Michelin star this Autumn. Tamarind of Mayfair can be found at 20 Queen Street, London, W1J 5PR.